New technology "could enhance use of eye tests"
The future of eye exams could be on the cusp of a significant advancement, following the creation of new technology to aid the process. An innovative ultra-wide digital retinal imaging system has been created, which could have the capability of spotting potential health problems at an earlier stage, WishTV.com reported. Such technology was created by Douglas Anderson after his son was left blind at the age of five years old, following a retinal detachment which was not discovered in time to cure. 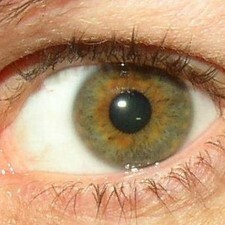 The gadget works by using a laser to take a picture of a person"s retina in an instant, which is then transferred to a computer screen for medical professionals to study for any potential health issues. Explaining the technology, Dr Nicholas Garn, from the US city of Zionsville, noted: "You look at interactions of the arteries and veins, the veins are deeper red, arteries are lighter, or if they interact - if there"s any pinching or narrowing - it can be a sign of high blood pressure when they cross over." The ultra-wide digital retinal imaging system has already been used by Dr Garn, when he helped a college friend to trace early signs of dangerous cholesterol levels through details in his eyes. "He had enough cholesterol lodged in his carotid arteries that some of those placques broke off and lodged in both of his eyes. He had no idea he had high cholesterol," Dr Garn acknowledged. Meanwhile, those concerned that white light, which is generated from diode lasers, can be damaging to their eyes have been assured that the technology has the same level of comfort as illumination emitted from light-emitting diodes. The results of the tests, which were conducted by Sandia National Laboratories, could allow for a breakthrough to be made for more diode lasers to be used to light up properties.